Band is still heading north at a fair clip and IMPORTANTLY the LP is still wrapping itself and moving eastwards. Every bit further east it gets is better for this region, especially those on the boundary. About 90 minutes ahead of the models...that means we have gained 90 minutes more time where the front is at peak strength which pushes everything 90 minutes worth further north I suspect. What’s your thoughts on Liam’s point above though re it pivoting earlier ? If you live in woodingdean/hollingbury or at elevation somewhere i’d be rather cautious with how far you go...I’m sure by 9pm if there’s more you than a MM of snow it’ll be CHAOS and public transport will be buggered! Anyone noticed the back edge is really getting a move on. 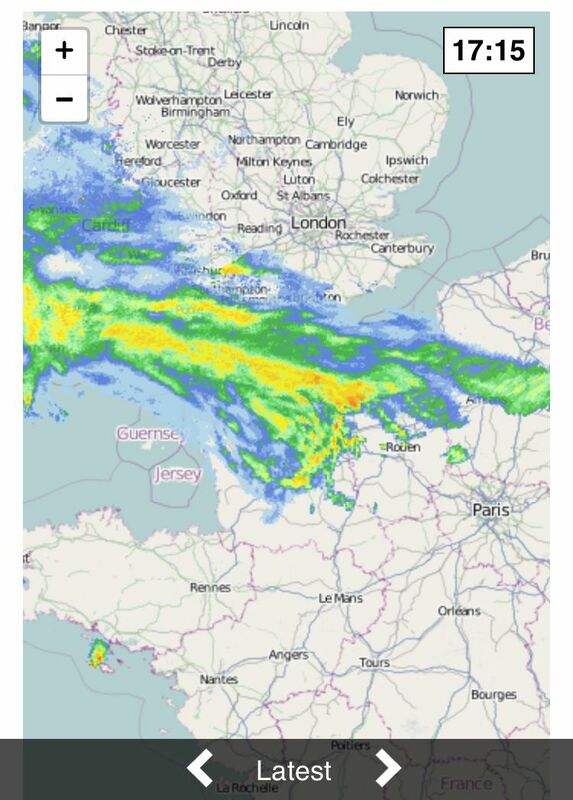 Its already cleared the channel islands and is coming across the channel. When do we think the front will slow its movement north ? And an amber warming means ‘take action’ .... 2-5cms isn’t requiring that - surely ??? 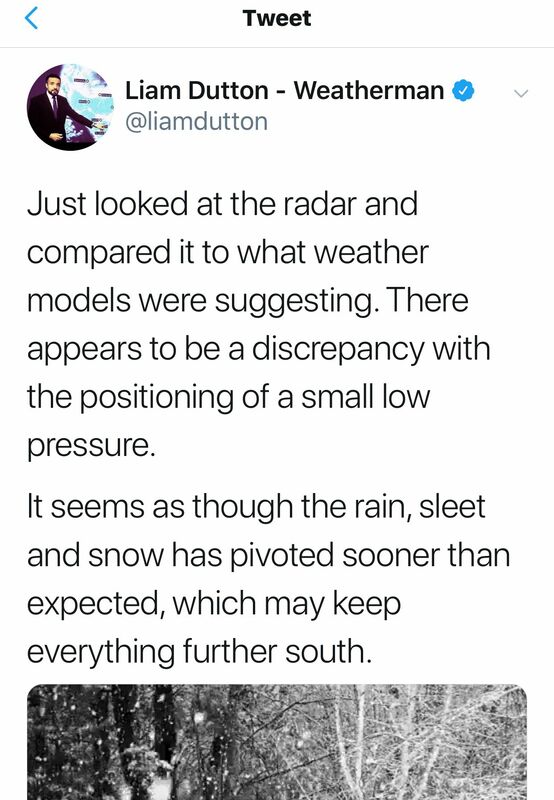 No I meant I thought the METO were quite good at doing the warnings when they think they are needed so they probably haven't done an amber warning for us yet because they don't think it's necessary? What would you expect the northern extent to be now? 2-5cm we all need to get to the Library and start burning books ASAP 🥶 seriously though id Ben happy with that amount up here ! 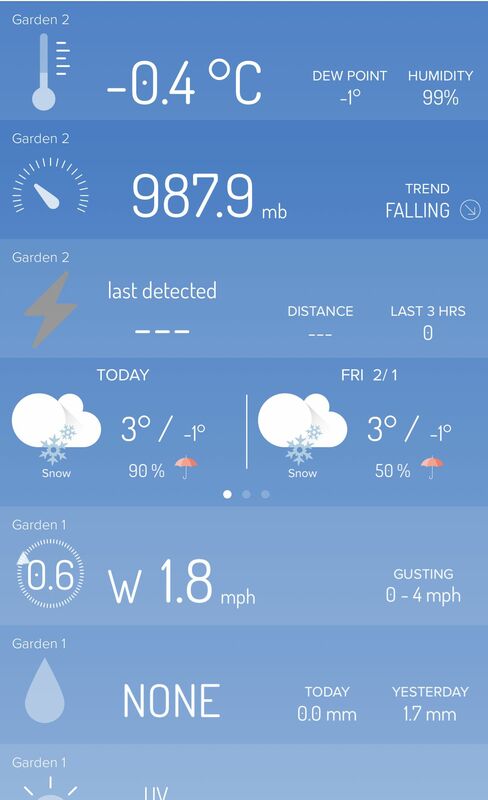 Temp here in Woking has fallen from 2.9c to 1.2c in the last 90 mins or so. 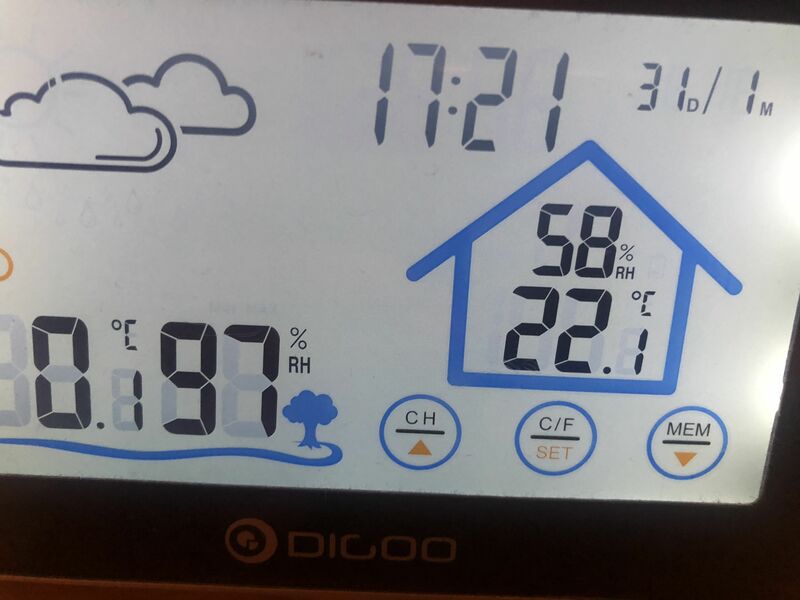 Humidity per my Vantage Pro is 47%. Still no sign of any flakes here, really really bitter now though. But as ever 4-6 hours away theres still some margin there! Snow has made it almost all the way across the channel. 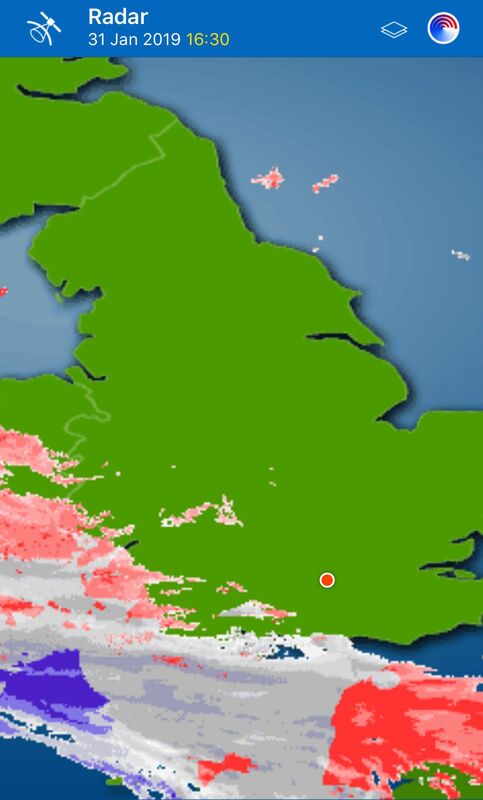 First snow for the south east looks like falling over Seaford to Eastbourne and the surrounding south downs. Another blob of snow is developing down the M3 near Bordon. Apart from Devon, all the rain has now turned to sleet in the SW over higher ground and away from the Welsh coast wales looks amazing. Looks like the French flag there, so is that French snow that we are going to get then? A BREXIT goodbye present from them maybe? Ignore the stuff in front of the main band on radar I'm pretty certain that an anoprop as nobody is reporting anything falling under it.. However we can discount how marginal it'll be close to the estuary/cotsal areas. Is the band moving straight up or does it go up and west?